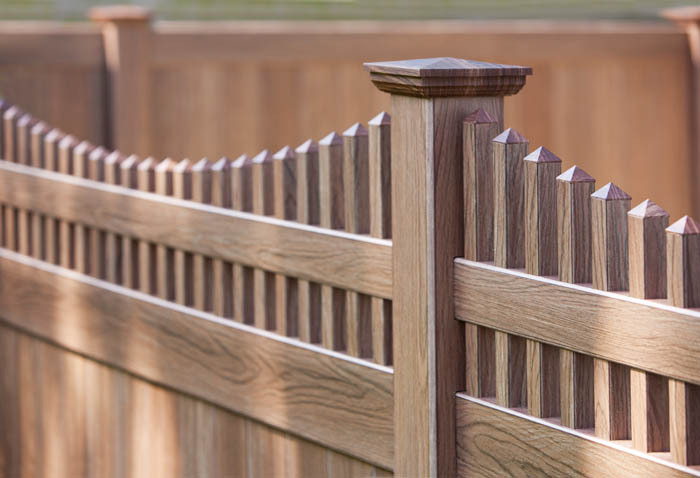 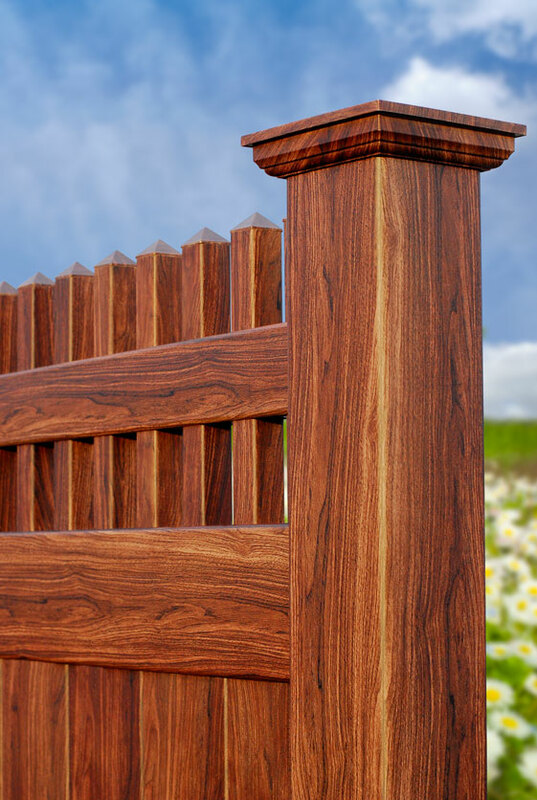 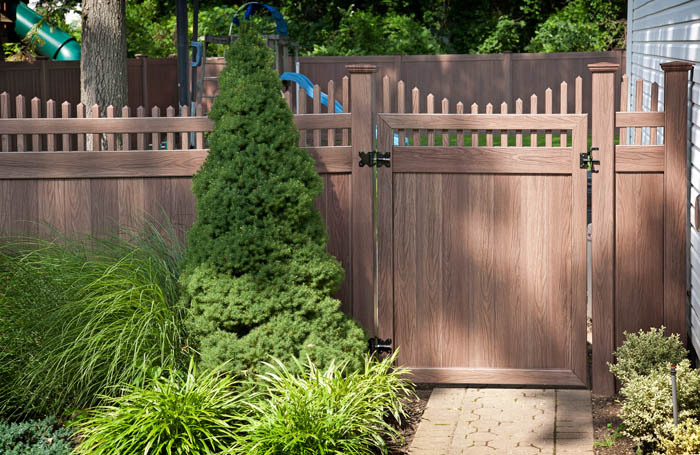 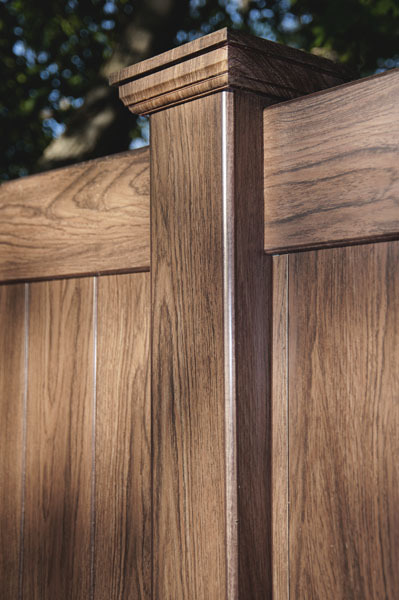 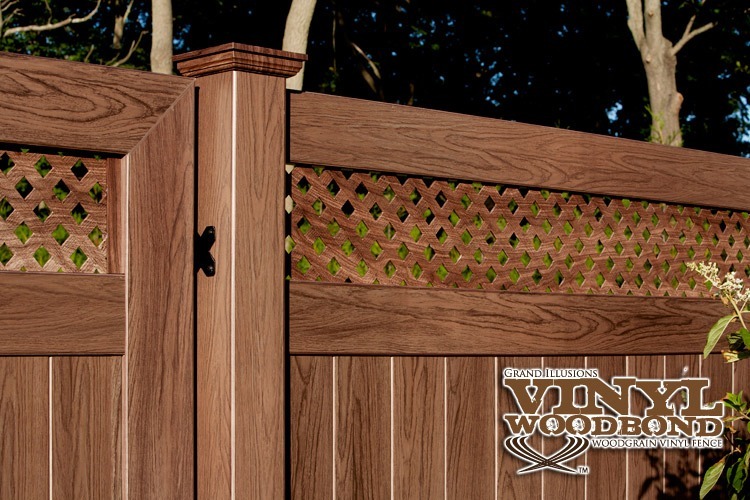 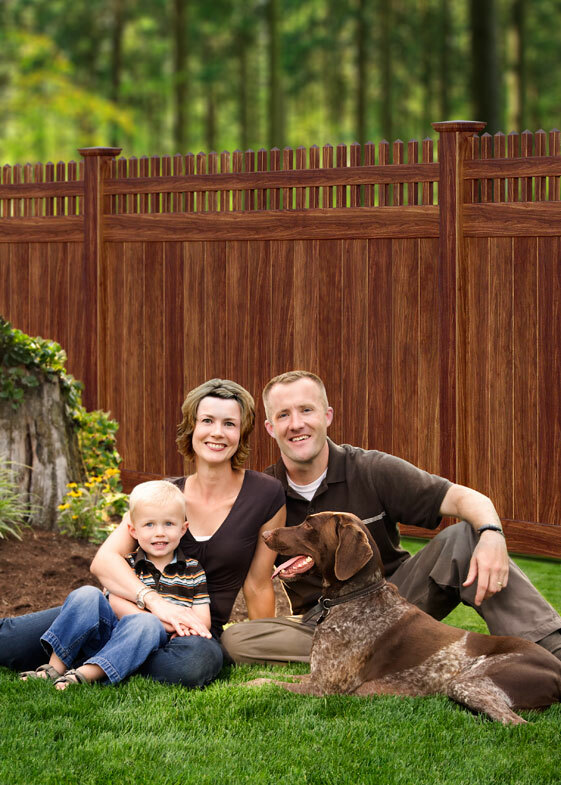 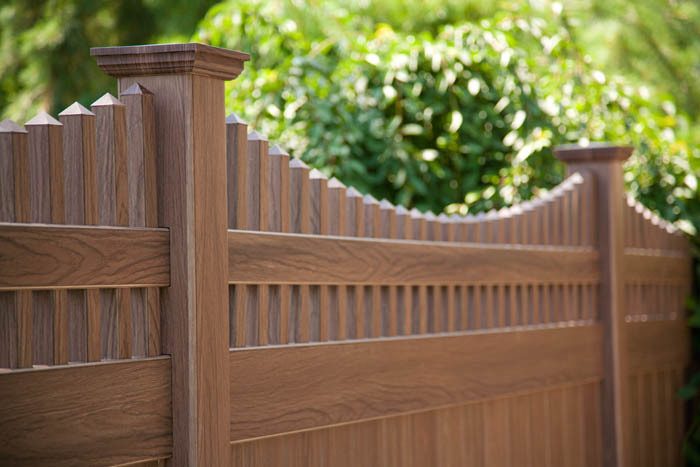 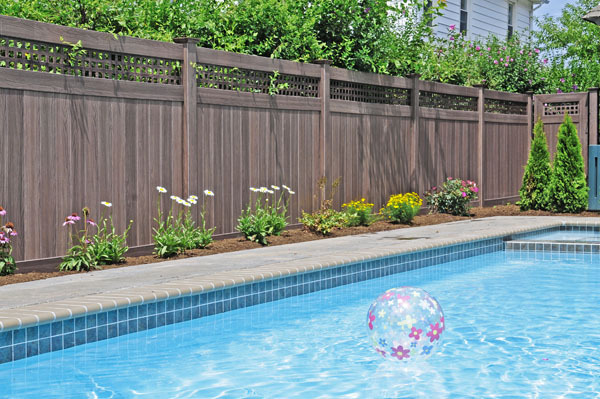 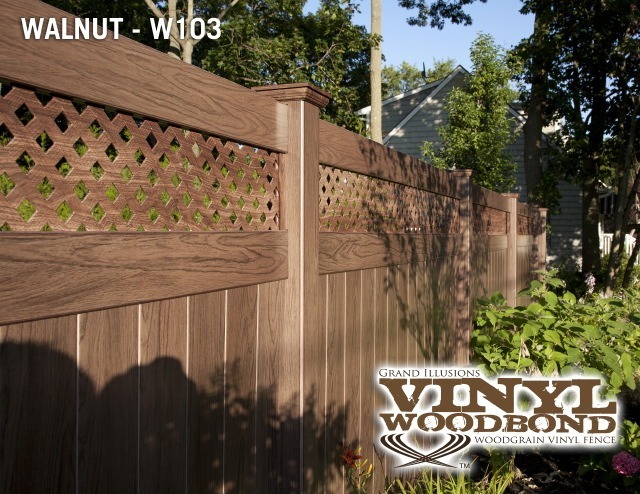 These photos feature an absolutely amazing install of a Grand Illusions Vinyl WoodBond Walnut (W103) PVC fence. 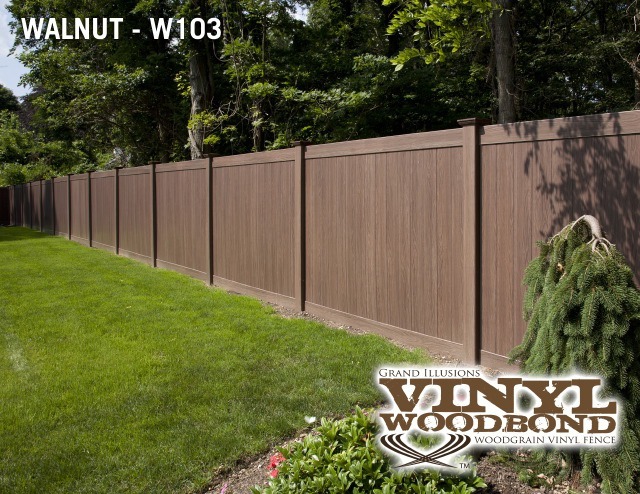 The job was installed in Kings Park, NY. 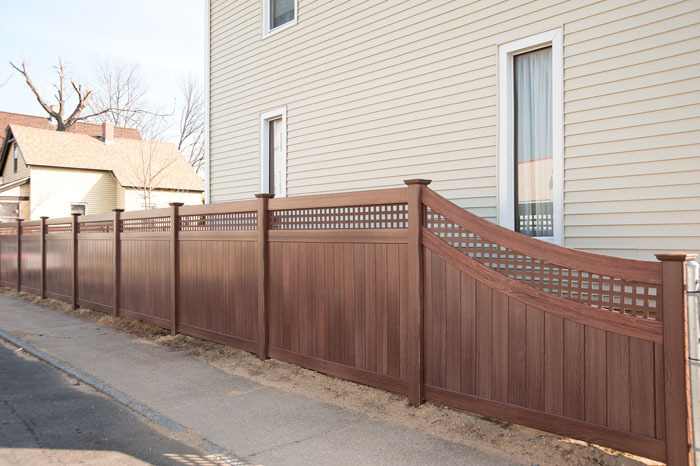 The install consisted of 32 sections of V300-6 Privacy fence and 4 sections of V3706-6 Scalloped T&G Privacy fence with Scalloped Victorian Topper facing the street.